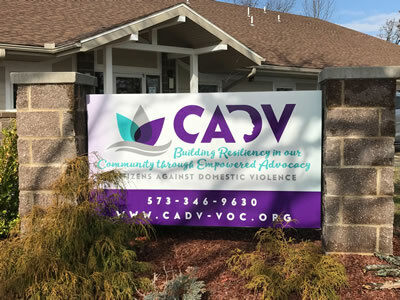 CADV/VOC established in 1984, is a non-profit organization that provides crisis intervention, shelter, advocacy, and support to victims of domestic and sexual violence. The highly committed Board of Directors, staff and volunteers provide the information, tools, resources and support that empower victims to make and sustain positive choices in their lives. These changes lead to the happiness and security of a life free from violence. 24 HOUR HOTLINE: Provided 24-hours a day, 7 days a week, answered by qualified trained staff or volunteers. CRISIS INTERVENTION: Performed by qualified trained staff and volunteers to an individual in crisis. To stabilize emotions, clarify issues and provide support and assistance to help explore options for resolution of the individual's needs. SAFE SHELTER: Emergency housing and related support services provided in a safe, protective environment for women and their children who have been victimized by domestic violence and sexual assault. Accommodations and referrals for men seeking shelter can also be made. SEXUAL ASSAULT RESPONSE TEAM: Trained staff and volunteers respond to Lake Regional Health Systems to provide advocacy, support and assistance to victims of sexual assault. COURT ADVOCACY: Provide information, support, assistance, accompaniment and intervention with the civil or criminal legal system on behalf of a victim of domestic or sexual abuse. SUPPORT GROUP: A weekly support group is facilitated by a licensed counselor. Interactive group sessions are non-directed, topic-oriented, informational and educational. 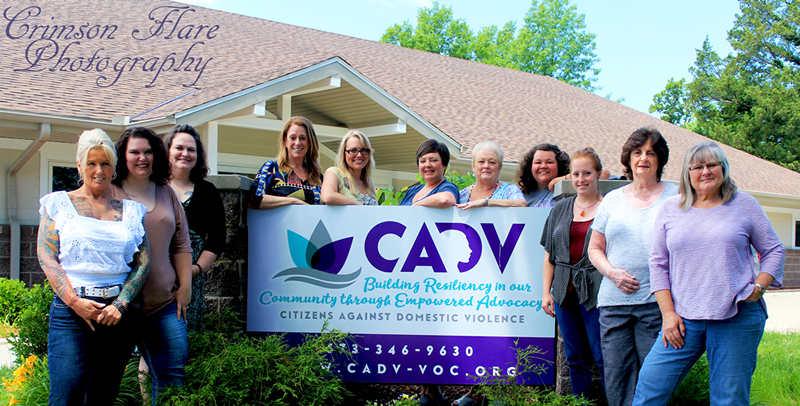 PEER SUPPORT: CADV includes staff that has ‘lived’ experience with domestic and sexual violence and has received a specific certification for working with survivors. The peer specialist partners with the survivor to develop plans to support them in linking positively within the community in order to break the cycle of violence and live violence-free life. ON-GOING ADVOCACY: Goal planning, community referrals, advocacy and assistance provided to aid a survivor in obtaining needed services and developing short and long-term resource and safety plans. CRIME VICTIMS COMPENSATION: Trained staff and volunteers assist victims filing for Missouri’s Crime Victims Compensation Fund. COUNSELING: Provided to victims of domestic and sexual violence to offer support in each individual’s situation and assist in dealing with the impact of violence.